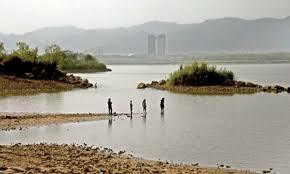 ISLAMABAD: The Supreme Court (SC) ordered the authorities concerned to submit by next Tuesday recommendations on resolving the issues of Rawal Lake, while issuing notices to owners of 11 properties bought on lease and remarked that they will not let public interest cases be delayed. A three-member bench, headed by Chief Justice of Pakistan (CJP) Mian Saqib Nisar, was hearing the suo motu case related to illegal structures and environmental degradation in Bani Gala on Tuesday. In 2017, the apex court was informed of over a hundred illegal structures, including Pakistan Tehreek-e-Insaf (PTI) Chairman Imran Khan’s residence in Bani Gala by the Capital Development Authority (CDA). On the February 22 hearing, Imran’s counsel in lieu of the court’s directions had submitted Bani Gala estate’s building plans. On February 28, Additional Attorney General (AAG) Nayyar Rizvi while submitting a report in the SC had said that he could not verify the no-objection certificate (NoC) submitted by the PTI chairman for the construction of his residence in the federal capital. During the Tuesday’s hearing, the additional attorney general informed the bench that he could not get in touch with Tariq Fazal Chaudhry, the state minister for Capital Administration and Development Division (CADD). In response, the chief justice remarked that “they want the case to be resolved today”. Justice Nisar, while detailing the highlights of the case, said one issue pertains to the encroachments in the botanical garden, the other on whether illegal structures should be penalised or regularised and the last and most important pertains to ensuring cleanliness of Rawal Lake. The CDA chairman informed the court that it will take time to conduct a survey of the illegal structures. In response, the chief justice said that they do not have time and directed him to speed up the process. “The solution for everything is present, one must have the commitment to get it done,” he remarked. The hearing was then adjourned until next Tuesday, April 3.